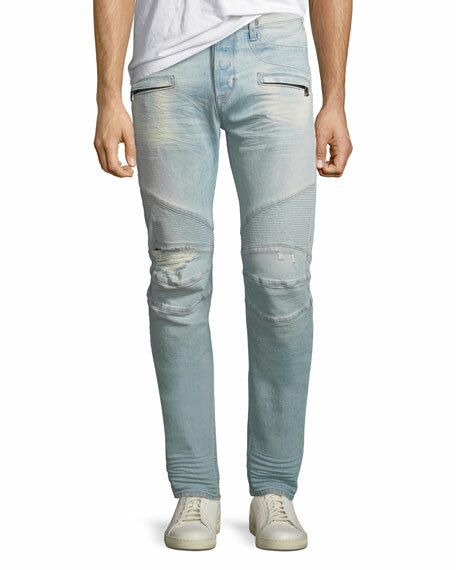 Hudson Jeans "Blake" jeans in distressed stretch-denim. 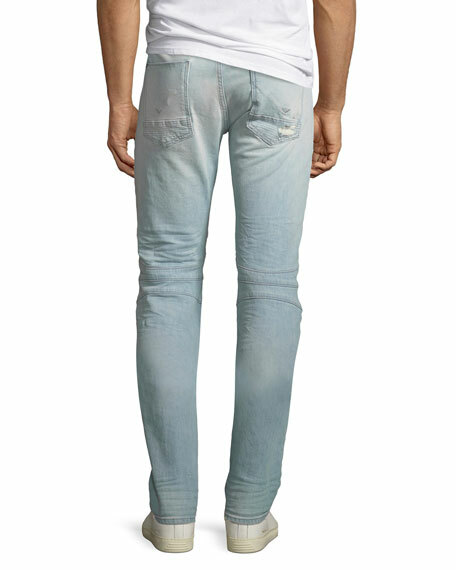 Five-pocket style; signature "V" stitching on back pockets. Leather logo patch at back waist. Slight whiskering and fading through thighs. 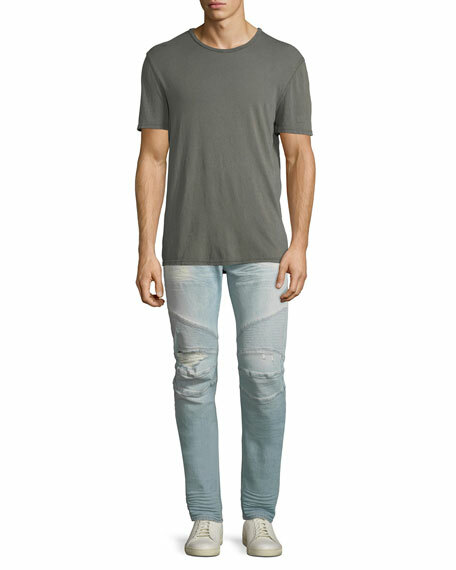 Slim-straight fit. Button/zip fly; belt loops. Cotton/polyester/spandex. Imported. Model's measurements: Height 6'1"/185cm, waist 32"/81cm, typically wears size M.